If you are unfamiliar with Castile soap, well, then you have been missing out! Dr. Woods Castile Soap is vegetable based- containing absolutely no animal fat. Castile soaps are natural and biodegradable, perfect for consumers who care about the environment! But also perfect for those that enjoy a luxurious soap that is mild, moisturizing, and smells fabulous. The Dr. Woods Castile soap Vitamin E rich lather leaves skin feeling naturally soft and clean. Dr. Woods Castile Soap is eco-friendly and ideal for guilt free camping and laundry. Another wonderful product that Dr. Woods offers is the Dr. Woods Shea Vision Facial Cleanser. These Anti-Oxidant Facial Cleansers do wonders for your complexion, leaving your skin with a healthy, radiant glow- they guarantee it! The Facial Cleansers contain gamma tocopherol, botanical extracts and organic shea butter to neutralize free radicals, heal blemishes and regenerate skin cells and all at a super low price (just $5.99) if you ask me! The Dr. Woods Black Soap formula is a gentle, daily exfoliant for all skin types. The Tea Tree formula will absorb excess oil, declog and shrink pores. 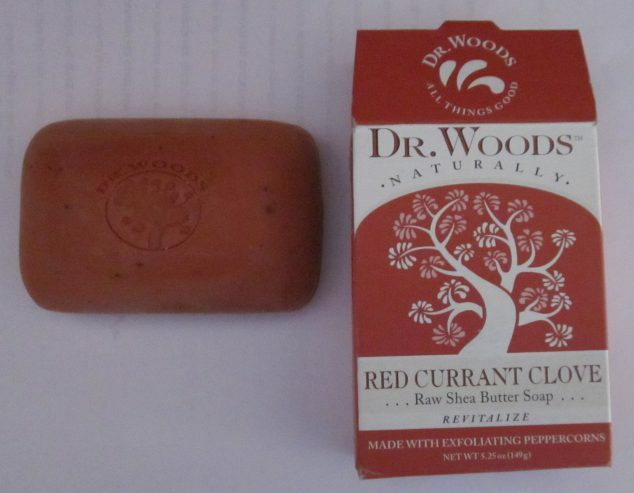 3 bars of Dr. Woods Naturals Castile Bar Soap and 1 bottle of Dr. Woods Naturals Facial Cleanser. What is your favorite Dr. Woods soap product? I received samples to facilitate review. I received no monetary compensation and the opinions expressed are my own. Best for me would be Baby Mild. The Baby Mild Soap Bar sounds best to me! Mmm, garden cucumber. So refreshing. i like the coconut milk shea butter soap. The Coconut Milk Raw Shea Butter Soap sounds amazing!! Garden Cucumber Raw Shea Butter Soap sounds so nice! Skin Lightening English Rose Soap! The Cucumber one sounds great! Garden cucumber sounds good to me . I need a little pick me up. 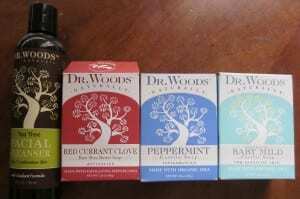 I absolutely LOVE Dr. Woods soaps. My aunt had some at her house while I was visiting for a week, and it made my skin so SOFT! The peppermint soap sounds wonderful! The cucumber one. I love cucumber and the coconut milk one sounds good too. I love soap! I want to try the peppermint one! The Lavender sounds best to me! I love lavender, so relaxing! My favorite is the peppermint bar soap. I would like the Unscented Baby Mild Soap. We avoid scents here because of allergies, so that one would be great. The Ginger Citrus Soap sounds good to me. Red currant clove sounds great. I prefer bar soaps! Ginger Citrus is my pick! Coconut milk shea butter sounds lovely! The English Rose sounds wonderful. Yay for being great smelling and good for the skin! The Garden Cucumber Raw Shea Butter Soap sounds awesome to me! I am intrigued by the skin lightening rose soap. I already know that this type of soap is the ONLY type I let touch my face, and this brand sounds amazing. Skin Lightening English Rose Soap. Lavender soap would be my top pick. I’d love to have the Raw Black Shea Butter Soap for my poor husband — his skin is so sensitive! I wish I could try them all they all sound so good and inviting but the top three for me would be the black shea, the coconut, and the lavender. Thank you so much for such a wonderful giveaway. Have a wonderful holiday season with your family and Happy Holidays to all of your readers! The peppermint soap sounds great. The Red Currant Clove Raw Shea Butter Soap or the Skin Lightening English Rose Soap looks like it’d be my favorite. Favorite bar of soap is the COCONUT MILK SHEA BUTTER and the second favorite is the PEPPERMINT. The Raw Black Shea Butter Soap sounds good to me. I love Shea Butter!! The all sound good, but especially Red Currant Clove Raw Shea Butter Soap. I would love to win the facial cleanser for my mother! Her skin is reacting to the slightest of chemicals lately and she’s going crazy because it itches so much 🙁 Thanks for the giveaway! I’d love to try the Ginger Citrus Soap. thank you for this opportunity! The lavender shea soap sounds nice. I would pick the peppermint soap. lavender is so helpful with stress! I would love to try the Skin Lightening English Rose Soap to see if it works on my spots and helps my complexion. I think the baby mild would be the best for me !! I have a little one with super sensitive skin !! Raw Black Shea Butter Soap – has my two needs – exfoliates and moisturizes! Ginger Citrus..!! Thanks for this giveaway!! I think the 100% Natural Peppermint Castile Soap sounds nice! I would like the facial cleanser or the baby mild. The Rose Bar soap sounds awesome! I like the Ginger Citrus Soap best. It’s so hard to choose between the Ginger Citrus Soap and Peppermint! The Ginger Citrus Soap seems great! I would like to try the peppermint soap. The Tea Tree Facial Cleanser sounds great. For bar soap, I’d go with the Unscented Baby Mild Soap. The Ginger Citrus sounds like a soap I would like. the garden cucumber raw shea butter bar sounds wonderful! Coconut Milk Raw Shea Butter sounds like my kind of soap. The Ginger Citrus bar soap sounds good. I would love the Coconut Milk Raw Shea Butter Soap. Coconut Milk Raw Shea Butter Soap sounds so nice! The Lavender Castile sounds great! Peppermint or lavender. Thanks so much for the giveaway. Their Peppermint Soap is my favorite! Love peppermint scent so the peppermint bar soap for me! The Ginger Citrus sounds amazing. I love the fact that it has jojoba oil, which is one of my favorite oils to use. Peppermint Bar Soap sounds very refreshing! Thanks! The coconut milk bar soap sounds great! I think the Lavender sounds fantastic! Hello, with it’s mosturizing poperties I would love the Raw Black Shea Butter Soap. Thanks for a great giveaway! These products sound fantastic, I’ve been on the look for an eco friendly soap option! Would love to try them out! I like the smell of coconut milk. I love the smell of cucumber melon so I would like to try the garden cucumber! Raw Black Shea Butter Soap sounds moisturizing! I want to try the coconut milk one! Red Currant Clove Raw Shea Butter Soap sounds great! Coconut Milk Raw Shea Butter Soap! The Garden Cucumber Raw Shea Butter Soap sounds the best! Coconut Milk Shea Butter sounds wonderful! I’d like the Peppermint soap. I like the Coconut Milk Raw Shea Butter Soap. LOVE lavender, so would like to try the Lavender Castile Soap! The Garden Cucumber Raw Shea Butter Soap sounds wonderful! I would love to try the Ginger Citrus soap. The Peppermint Bar Soap sounds the best. 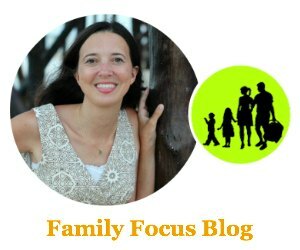 Thanks for the giveaway…Ginger Citrus Soap !